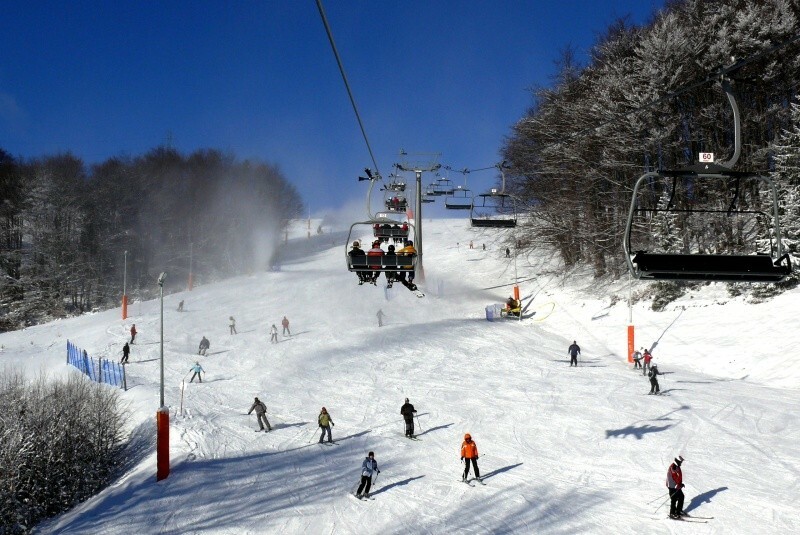 Ski resort "Dwie Doliny Muszyna - Wierchomla" is situated in the Beskid Mountains, 12 km from Piwniczna - Zdrój. Unique station skiing conditions due to specific climatic conditions - snow is maintained here for a long time (from November to April), and the temperature is on average about 4 degrees lower than in nearby towns. In Wierchomla tourist has several thousands of sleeping places in huts and guest houses. Tourists also can stay in three-star hotel "Wierchomla SKI & SPA Resort". In ski resort is located internet cafe, ATM, kindergarten for children, disco, restaurant, billiard and ice skating rink. Get Snow Reports, Powder Alerts & Powder Forecasts from Dwie Doliny Muszyna - Wierchomla straight to your inbox!